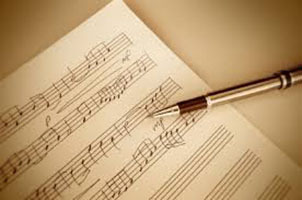 Register now for our new song writing course! Don’t overthink it! This course is for anyone, any instrument, at any level who wants to learn to compose and finish a song, which will be performed at the end of the session. Through class analysis of popular song form, and some basic chord theory, Chris will teach the class and assist each student one-on-one with the tools and tricks he has used as a professional songwriter. If you have unfinished ideas, would like to learn new approaches to lyrics and music, or have never composed anything before but have a big interest, this course will give you some inspiration to get going. Chris McDermott is a professional song writer who has worked for Warner/Chappel publishing. He is also a Berklee instructor and has over 30 years as an artist with many credits. As a musician, Chris has played all over America, Europe, and the Caribbean for over 25 years. Possessing a truly unique rhythmic style, he draws from what seems to be every available musical color in the palette. He is also one of the bravest and most energetic musicians you will ever experience live. Playing solo or surrounding himself with some of the best international musicians in the world, Chris lives for that real “in the moment” exchange with his audience, his players and the vibrations created by all involved. For more music programs, click here.